Last fall, on a walk just before dusk, I spotted a larva that had just emerged from its caterpillar host. It was beginning to spin a cocoon. 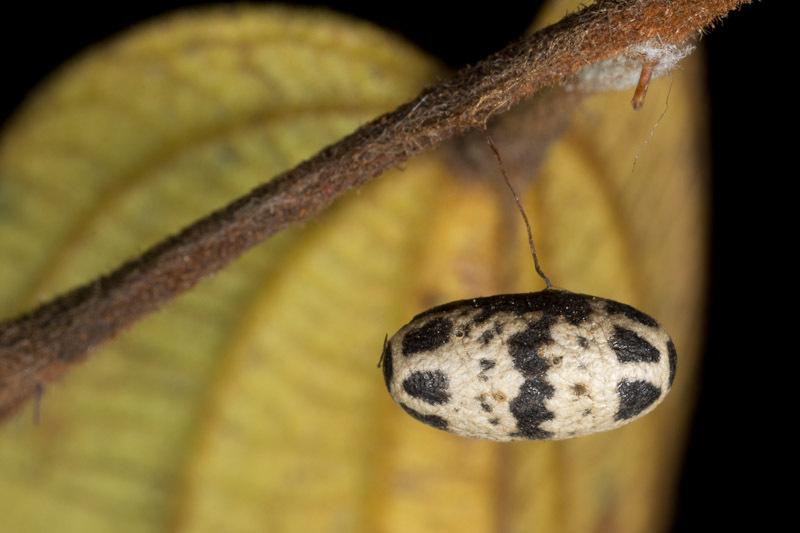 The next day I returned and saw that it was one of these patterned cocoons. I didn’t have my camera with me, but I would have loved to have documented a few steps in that whole process.